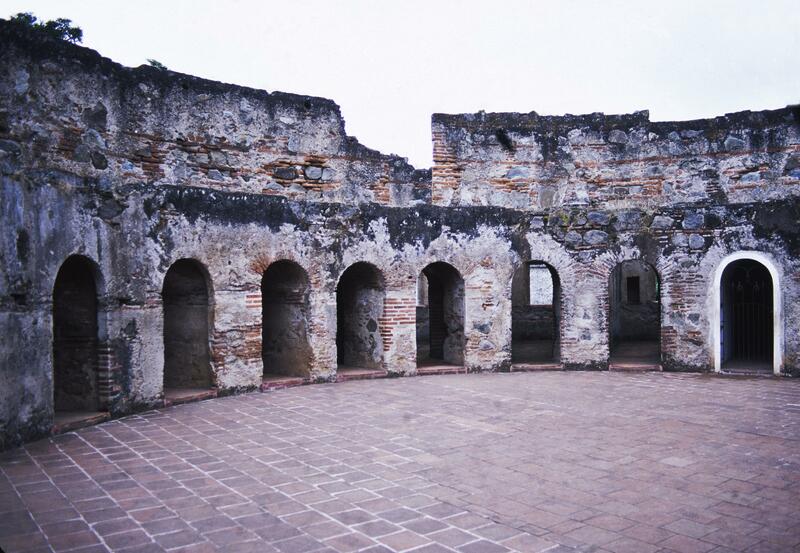 This circular, arched structure provided cells, or living quarters, for some residents of Las Capuchinas, perhaps novices. An unusual arrangement, the circle created a space for 18 cells. 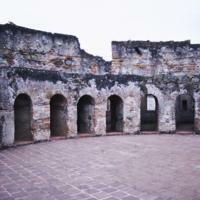 No other circular cloister is known in Spanish America. Each cell had a doorway, facing onto the patio, and opposite it was a window that allowed light into the room. In each cell, in addition to a bed, there were small niches for storing clothes and other personal items and a tiny space with an 18th-century version of a toilet. Las Capuchinas was originally founded at the permission of the King of Spain, by nuns from Madrid. The brick walls would have originally been covered with plaster.